The Spencers walked into the yellowing sun. Jack hoped the weak heat would dry them and the sunlight might somehow purify them. Though Jack’s breath was soon as heavy as her backpack — she cursed herself for not taking better care of her body — she found fatigue was easier to dismiss in the presence of horror. She wanted to get beyond the block of cars. They had to get beyond this dam of metal and flesh, find a vehicle, and continue to Maine as quickly as possible. What if Lieutenant Carron found a way to get to the Corners faster? Jack saw herself open the door to the kitchen at the farm, relieved to have finally found a haven. What if the man who had pointed a rifle at her face, at her daughter’s face, waited there, a shotgun now aimed at her midsection? He was so angry, there was no reasoning with a monster. Carron would warm himself by the wood stove. Papa Spence would be dead on the floor at his feet. She wouldn’t have time to plead before he pulled the trigger and cut her in two. On the road beside them, two seagulls squabbled over ribbons and scraps, staging a tug-of-war over white meat. Despite her promise to avert her eyes, Anna did look. The face was gone. The torn scalp stretched out in the birds’ beaks, a long tangled splay of string across black and red pavement. The long hair suggested to Anna that the thing lying before her, exposed and obscene, had been a woman. A vulture went about its work, its head in the corpse’s ruined belly, ignored the screeching gulls. Intent on its meal, the bird raised its ugly bald head, ratcheting back and forth and up and down, to tear and to swallow. Anna knew she should turn away but found she could not. 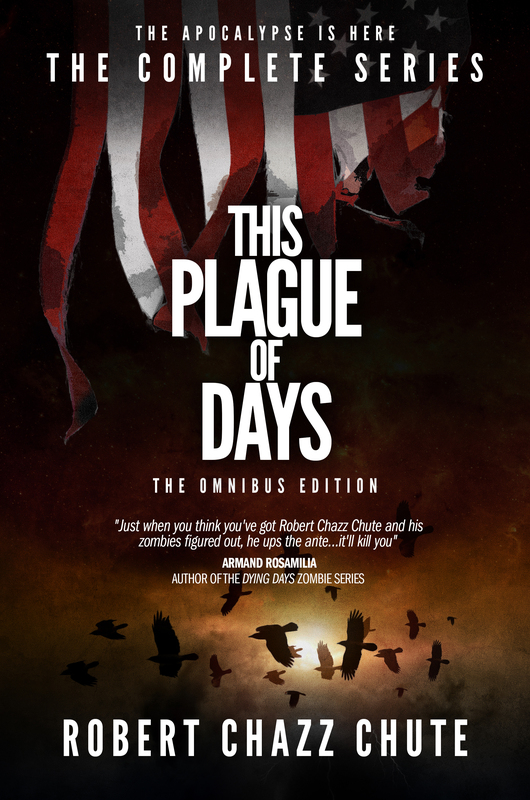 The dead woman’s abdomen had bloated and burst in a riotous stench of busy maggots. 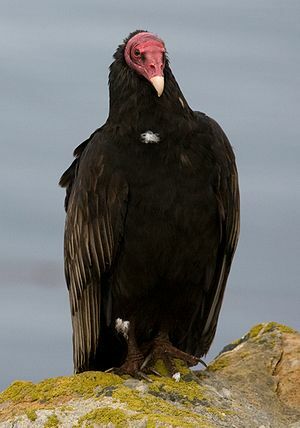 The bird’s head and neck disappeared into the gore to its hunched shoulders and came up again to tilt its head back to feast again, forcing a large, pink chunk into its gullet. ~ I’ve been ill, so I’m playing catch up with revisions. However, things progress. For a more positive life outlook, have you subscribed at www.DecisionToChange.com yet? Or bought a book? Mere suggestions. No! Strong suggestions! If you can do it, it won’t be wrong. 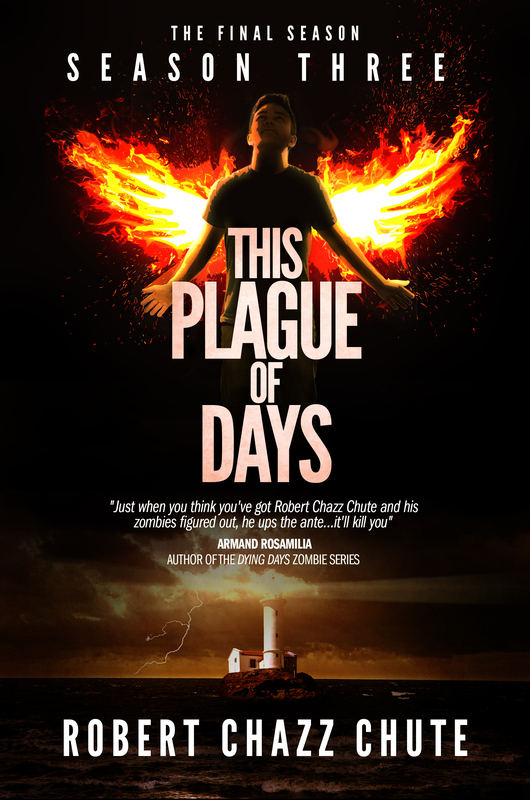 This entry was posted on Wednesday, May 1st, 2013 at 9:57 pm	and tagged with ebook, excerpts, fiction, horror, NSFW, quotes, robert chazz chute, serial, This Plague of Days and posted in apocalyptic fiction, the book, the serial, This Plague of Days. You can follow any responses to this entry through the RSS 2.0 feed.